Happy Election Day! Americans: we urge you to make sure you make your voice is heard: find your closest polling place here. 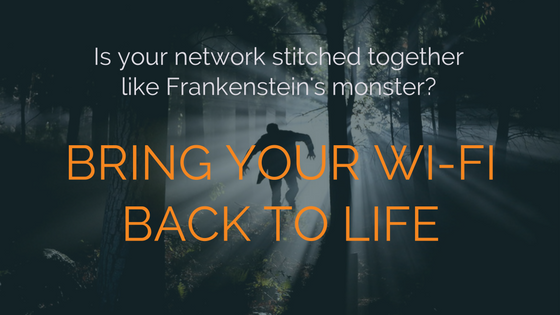 In Part I of our Myth-busters Blog Series, we debunked the myth that Wi-Fi is all about bandwidth and speed. 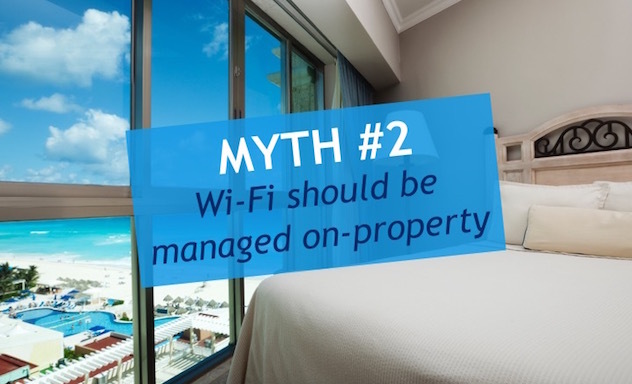 In Part II we’ll cover 2 more hotel Wi-Fi myths. 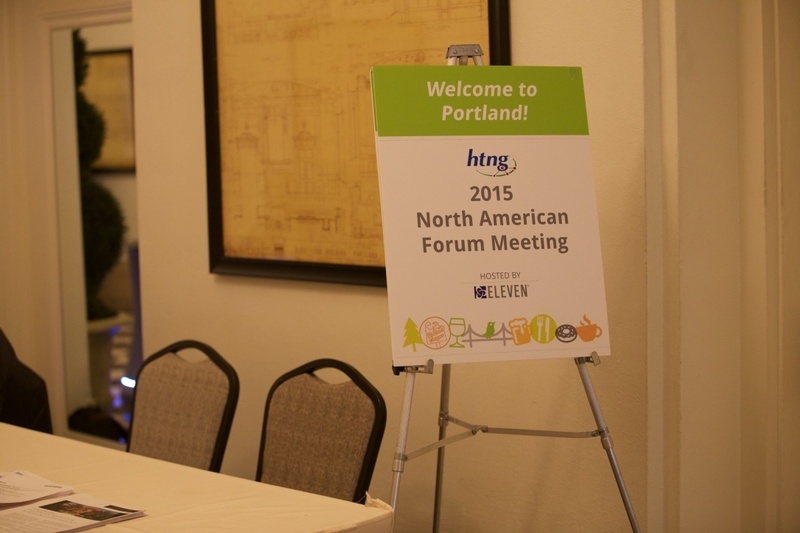 We had the pleasure of hosting the HTNG 2015 North American Forum Meeting in our hometown of Portland, Oregon last week. A record-breaking crowd of HTNG members gathered at Sentinel, a Provenance hotel in the heart of the city, to learn from and teach each other about the future of our industry. After events like these, our office buzzes with new life and fresh ideas and it’s customary for us to do a “download” of our key learnings. Internet & Power: Are You Meeting Basic Guest Needs? Before you move forward with a lobby redesign or that landscaping project, make sure that your guests' most basic needs are being met. Frequent Business Traveler recently conducted the 2015 Hotel Pet Peeves Survey. Talking to nearly 2000 travelers around the world, expensive or slow Internet and lack of accessible electrical outlets were among their top pet peeves. Newton’s first law of motion: an object in motion stays in motion with the same speed and in the same direction unless acted upon by an unbalanced force. Customer First: The whole point of innovation is to add value for customers. Start with understanding the guest, then work to deliver something to meet or exceed their expectations. Balance the Needs: Make sure that while you plan for what is needed tomorrow, you also put aside time to ensure stable operations for today. Balancing the two is the key to survival, the failure to do so would be fatal. Check out the full Rapid Pace of Innovation in Travel article to learn more. How do you keep up with innovation? Imagine trying to hit a constantly moving target from 23,000 miles away. That’s essentially what the cruise industry is challenged with when trying to provide fast, reliable onboard Wi-Fi. To deliver bandwidth, the satellites (orbiting 23,000 miles overhead) have to connect with the ship while it moves through the ocean - not a simple task. At the Skift Global Forum, Chip Conley (Head of Global Hospitality and Strategy at Airbnb) spoke about the future of the boutique guest experience. Chip has 27 years of experience as an innovator in the hospitality industry and has handled the creation and management of 52 boutique hotels. Let's face the facts. Most things in life that initially sound wonderful often have a catch. "That new restaurant has an incredible menu!" (But the servers are rude.) "This new ice cream shop has the best flavors!" (But contains little nutritional value.) "I have the perfect guy for you!" (But he has commitment issues.) Unfortunately for the consumer, not all advertisements come with a quick talking voice at the end who rattles off disclaimers. Luckily we have online reviews to turn to. As a business this can cause problems if you have been toting the "we're amazing" model of advertising without ensuring that you don't have that "but" factor. Consumers are depending on their mobile phones more and more for information. While it is important to capitalize on this by optimizing your website for mobile with a responsive design, it extends further than that. iBeacon technology is the next stage for mobile use in hotels, and to jump on board now would give your property an early adopter advantage. As stated in our Mobile Revolution and the Millennial Traveler post, the largest number of hotel mobile site visitors are over 55. 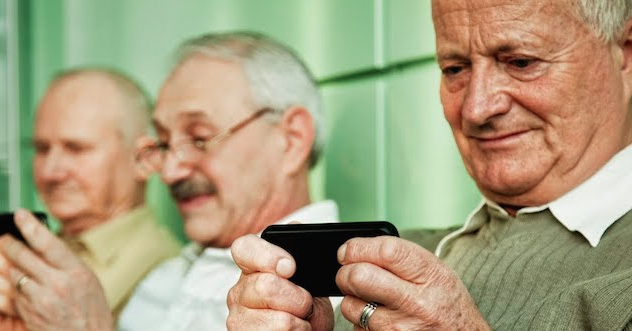 The Baby Boomers are quickly becoming consumers of mobile technology, and with their control of over 50% of discretionary spending and retirement rapidly approaching, they are a group you want to connect with. BETTER WI-FI Part 1: What is Passpoint (a.k.a. Hotspot 2.0)? This is part one of a 3-part series, make sure to read parts two and three after this! The Hotel Technology Next Generation (HTNG) association is heavily invested in solving hospitality’s biggest technology challenges. The HTNG annual North American conference kicks off today at the beautiful Rancho Bernardo Inn in California. The conference is focused on helping hoteliers gain a better understanding of hotel technology and future trends. 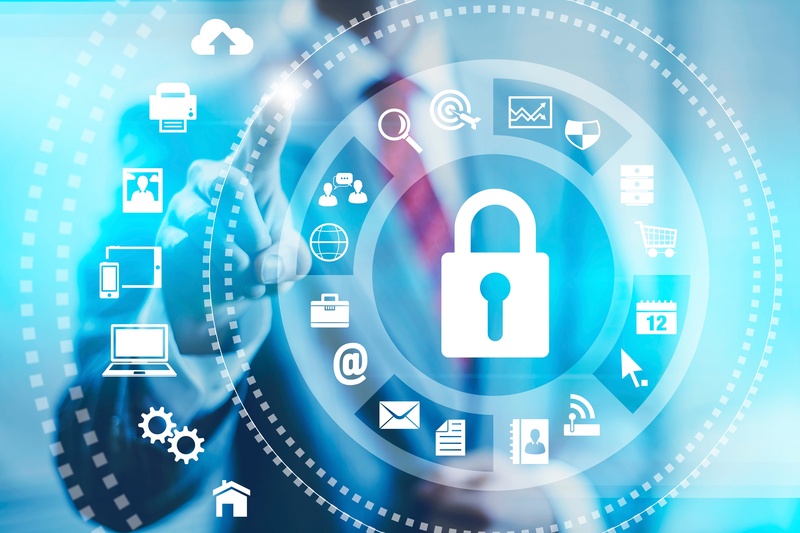 The recent hack at White Lodging Hotels Group following the data breaches at Target and Neiman Marcus, serve as harsh reminders that all businesses, both large and small, are vulnerable to cyber attacks. The availability of digital devices and applications has more than doubled in recent years. We are more connected than ever with greater demand for richer, more personalized experiences and faster access to information. There’s more demand than ever on guest networks. The challenge lies in the ever-increasing number of Wi-Fi enabled devices, along with ever-increasing demand for bandwidth to support more activity. It has become not just a one time upgrade, but an ongoing cycle where hoteliers must foot the bill. The article name says it all: Traveler’s Will Smile about Service, but are Irate over Internet. Upon reading the complete report from which the article was based, we found some interesting data that supports that guest networks are in fact improving (at least in the US), even if the change is slow. 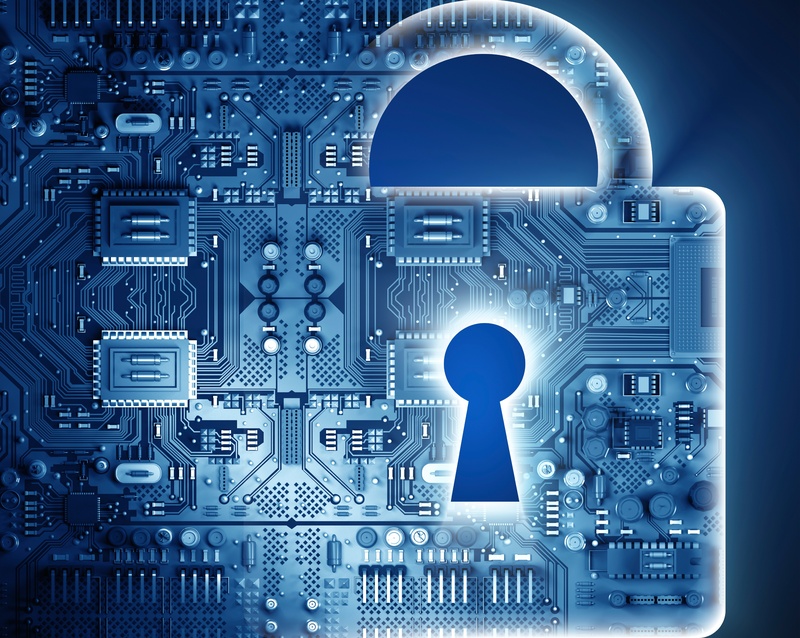 Worldwide, approximately 89% of Wi-Fi hotspots are unsecure. The recent results of TripAdvisor’s TripBarometer Mobile and Social Survey report trends taking shape in both the U.S. and global travel industries. Below are the highlights. A reliable Wi-Fi experience is undeniably one of most important sought after guest amenities, so much so that it is now referred to more often as a necessity or a commodity. Author and hospitality IT consultant, Jeremy Rock, sheds more light on Internet as both an amenity and necessity in his Hospitality Upgrade article, Internet Access – It Better Work! 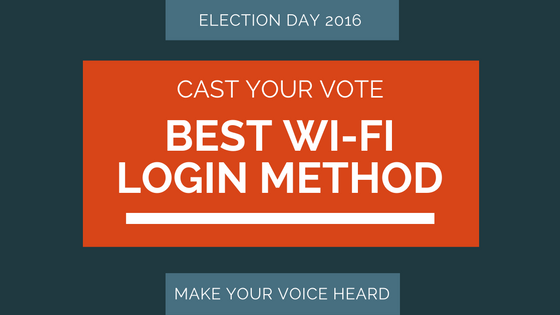 Would You Swap Your Email Address for Wi-Fi? We’ve heard it time and time (and time) again over the past couple of years – guests are demanding at least a basic level of free Wi-Fi. As hoteliers begin to acknowledge this demand, they are looking for other ways to monetize their guest Internet, and they’ve started to get creative. Hotel Internet Management: Should You DIY? Installing or upgrading a Wi-Fi network requires heavy investment in infrastructure, design, implementation, management, and security. Add to that an unstandardized sea of solutions and you have the source of a lot of research, headache, and lag in resolution. Hotels are delivering more amenities than ever before—Tempur-Pedic beds, wellness programs, and custom toiletries are just a few. But with the myriad technology-based amenities that are available now, there are a select few that provide services that actually enhance the guests’ experience. 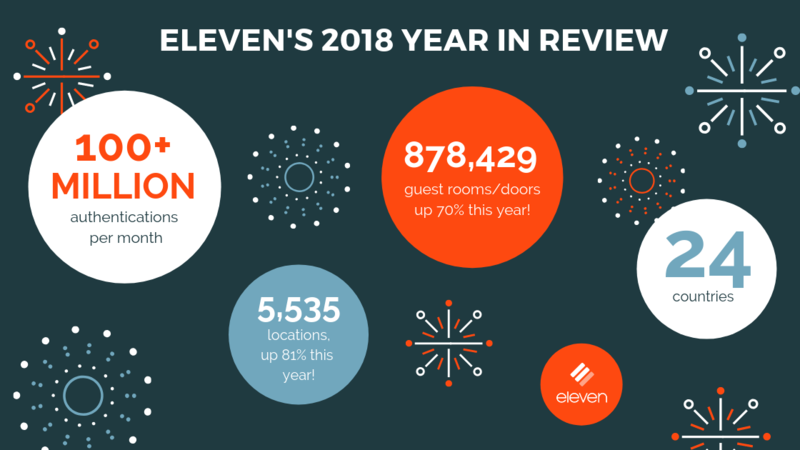 Eleven commends these 3 hotel clients that have made sensible and basic technology enhancements that we believe are setting a precedent for tech-based amenities. Known as a reliable and consistent major hotel brand Holiday Inn Express® by 40-somethings to Baby Boomers, the Holiday Inn brand is adding features and amenities to attract the next generation of travelers—Millennials. The recently published Lodging Technology Study by Hospitality Technology reveals trends and future development in the industry spurted by the increasing amount of Wi-Fi-enabled guest devices. These 8 trends summarize the findings from the study. In a recent study by the Incentive Research Foundation (IRF) event planners, third party vendors, and sales managers identified WiFi, Virtual Meetings, Social Media, and Mobile Apps as important considerations in determining where to host offsite meetings and events. Second to those were audience response systems, badge screening, and cloud computing, with audio/video support and computers as a “given.” Insights on the top 4 technology aspects are detailed below. According to a recent Hotel News Now article, tech-savvy folks do more traveling and hoteliers that connect with them on their mobile devices will reap rewards. The mobile channel is increasingly convenient for marketers; the challenge is keeping consistency across all devices throughout their experience including inspiration, research, validation, booking, confirmation, travel planning, and memory sharing. The recently published Lodging Technology Study by Hospitality Technology reveals trends and future development in the industry spurted by the increasing amount of Wi-Fi-enabled guest devices. These 7 trends summarize the findings we found most relevant from the study. Millenials, also known as Gen Y, the group of 18 to 32 year olds now makes up over 30% of the U.S. workforce (USA Today). As the fastest growing segment of the workforce and business travelers, Millennials have been on the travel industry’s radar. They are also on track to be the largest consumer group in U.S history with an estimated population of about 70 million (USA Today). Is Citywide Wi-Fi Bad News for Hoteliers? According to this Hotel Management article a growing amount of tourist-attracting cities are offering free Internet access. Las Vegas, New York, San Francisco, Boston, Minneapolis, and possibly Los Angeles are amongst some that offer free Wi-Fi within city limits. Should You Charge for Internet? Complimentary versus premium Internet continues to hog the hospitality spotlight; this Huffington Post article outlines several reasons you should not charge for Internet. More than ever, people feel that Wi-Fi is as much a commodity as a bed to sleep in or a lock on the door. According to the J.D. Power 2013 North American Hotel Guest Satisfaction Index Study, the quality of Internet service remains the top complaint experienced by guests and it has the largest impact on overall guest experience and satisfaction. According to recent surveys by Forrester and Hotels.com, hotel guests demand wireless access above any other service, including complimentary breakfast and free parking. In our last post, 5 Mobile Trends to Watch, we discussed the recommendations for adopting a mobile strategy at your hotel. This week we explore how tablets in particular are taxing guest networks, and what can be done about it. If you’re a business traveler, you know how important it is to stay connected – both for personal and business reasons. You also know how frustrating it is when your connection is lousy and/or slow. According to the J.D. Power & Associates 2013 North America Hotel Guest Satisfaction Index Study, overall guest satisfaction was rated 777 out of 1,000 this year; 20 points up from 2012. This marks the highest score since 2006, when the index was introduced. Will Free Wi-Fi Ever Be Ubiquitous? Hotel systems are moving to the cloud more quickly than ever - telephones, TV's, room management systems, keycard solutions, and more are all beginning to live on the same network. Additionally, hotels provide Internet connection to guest rooms, the lobby, the restaurant, conference rooms - the list goes on. Add to that guests who carry 2 or 3 devices and you have a serious lack of bandwidth issue. With 80-85% of business travelers carrying smartphones (Leposa 2013), there’s no question that digital technology, namely mobile technology, is changing the way we communicate and get around. Meetings and conferences already look and feel completely different than they did 10 years ago. Why Can’t Hotels Keep Up With Technology? Mobile check-ins, virtual concierges, and digital room keys are just a few of the emerging tech trends we see in hospitality. Unfortunately, many of these advancements in technology are clogging up already taxed Internet connections. Hotels built in 2010 and earlier are already out-of-date; the infrastructures simply weren’t built for the heavy use of bandwidth we see today. 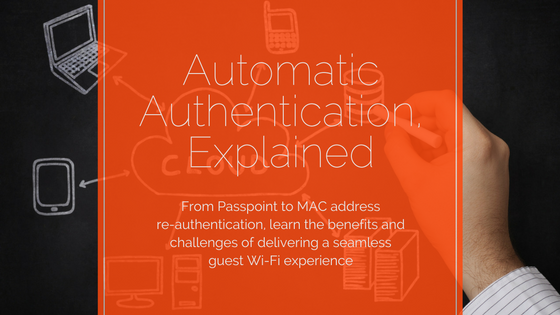 Many hotel networks can barely handle the amount of users that login for work and emails. In Part II, we examine recommendations from the big data study by Amadeus, which we covered in our last post. In a major global study done by travel technology provider, Amadeus, they study the challenges and potential benefits of being able to sift through the massive volume of unstructured data, known as “big data.” The findings put pressure on our industry to take the steps to begin establishing a foothold on big data. BYOD: Stands for “Bring Your Own Device” – the number of that travel with their own smartphones, tablets, laptops, etc. – continues to rise. Service Automation: More guests are opting to interact with hotel staff through technology, using mobile apps and tablets for check-ins and more. 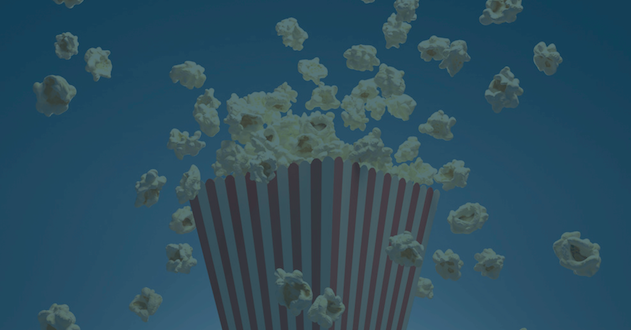 Digital Signage: Live, interactive displays are starting to replace traditional, printed signage and informational packets. Connected Meeting Spaces: Meeting planners can communicate electronically in real-time facilitating faster and more efficient service. Tech Hub Lobbies: Flight information, local restaurants and events, and interactive mobile apps have reinvented lobbies as information epicenters. 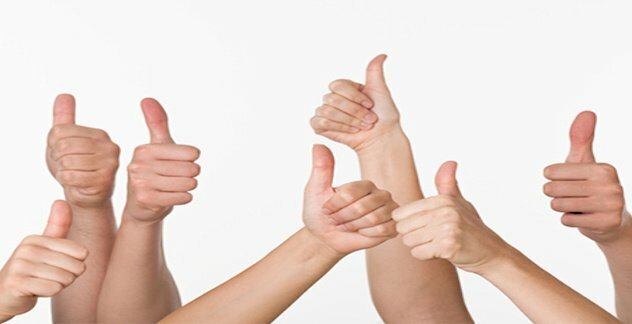 Social Media: More hotels are using online communities to help build stronger relationships with guests and make business decisions with surveys and contests. Luxury Technology: A new variety of technology is showing up in high-end hotels, like interactive televisions, and tablets loaded with magazines and games. Extended Office Space: More hotels are making non-guest revenue from their meeting spaces to lend to businesses for out-of-the-office meetings. An adaptation of a HotelNewsNow.com article, you can read more here. In a recent interview with the new VP of Hospitality at Windstream, Don Reigel, reveals the largest technology challenge for the industry—bandwidth. The recent article New Demand Trends Force Marketers to Adapt is right on target. As an industry enveloped in change, we need to step up to the challenge. In a recent article, My Love & Hate Relationship with Hotel Wi-Fi, author, Om Malik, shares similar laments as fellow business travelers – hotel Wi-Fi stinks (usually). Even paying for an upgrade doesn’t guarantee adequate bandwidth; as more people are streaming more data (music, video) and downloading and uploading more content (cloud storage, etc.) older hotel networks simply can’t keep up. Could "Splitting" Your Brand Yield More Revenue? In a recent HotelNewsNow.com article, they give a perfect example of how splitting a hotel into two brands can reap benefits for a hotel. The example they use, MainStay Suites in Port St. Lucie in Florida, was reconfigured to include a Sleep Inn. It acted as a reprieve for retirees in the winter and a way to appeal to the drive-by traffic as just a place for a night’s stay. SoLoMo is an acronym for social, local, and mobile. Today’s travelers are constantly connected through smartphones, seemingly ubiquitous Internet access, and nearly constant access to social media. The convergence of these technologies makes it easier for even the smallest hotel to connect with guests. 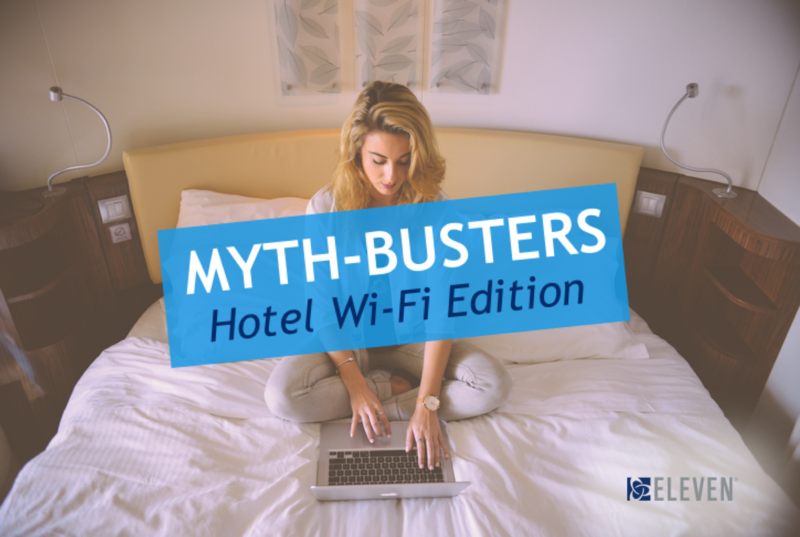 As published in this article, 67% of European hotels offer free Wi-Fi, more than hotels in the US. 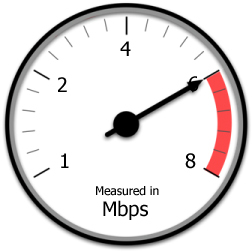 However, it’s not just about “free” – adequate bandwidth must also be part of the conversation. 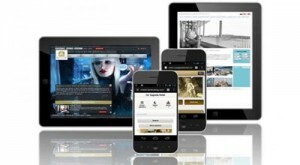 Two years ago Starwood reported 3-5% of hotel website traffic came from mobile devices. Now the mobile traffic contributes to 20% of traffic and revenue. Times have changed and so should you. We recently read 5 Key Challenges Facing Hoteliers and wanted to suggest some remedies to help you succeed. Earlier this week, we highlighted how Millennials are important to your business. In this article we’ve sifted through several articles to bring you the most relevant tips to appeal to this digitally enhanced and influential group. What do new minimalist hotels, Wi-Fi, social networks, and remote offices all have in common? 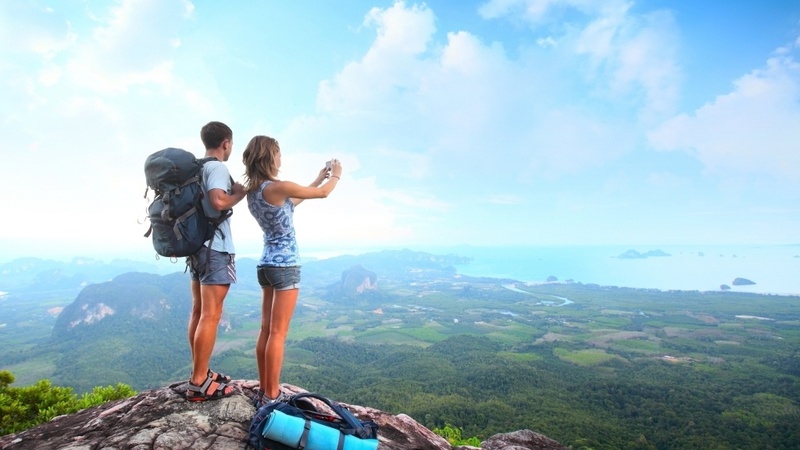 All of them came on the heels of a new generation of travelers known as Millennials. As a follow up to our Conference Internet series, we wanted to compile a list of ways to attract more conferences and better utilize meeting space. A new segment of high-end, yet economic, hotels that cater to Millennials have arrrived. Some examples of these are Marriott’s new Moxy Hotels, and in a more recent article, Larry Mogelonsky writes about the ALT Hotel brand, citizenM, and Yotel. 1. 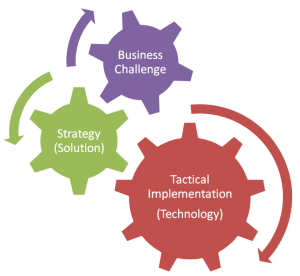 Design a dynamic technology strategy that will grow with your hotel. As notoriously fickle Millennials enter the market, it is more important than ever to give guests a distinctive experience. “Hotels must find ways to connect with Gen Yers on an emotional level, which isn’t easy,” says Rick Garlick, Ph.D in this Hospitality Net article. Interactive walls, a digital floor display, adjustable bathroom privacy – all futuristic amenities, that designers say aren’t far from reality for hotel rooms in this CNN travel article. The common theme we see throughout these and other predictions is interactivity – amenities that allow guests to interact directly with their surroundings. This trend speaks to the growing desire for people to be connected 24/7. The demand for free Wi-Fi has not faded in 2013 – according to this recent article by Hotels.com it has again topped the list of must-have amenities for both leisure and business travelers. Surpassing free parking and complimentary breakfast, the demand for free Wi-Fi speaks to the changing needs of your guests; they want to be connected. Should You Ditch the Front Desk? What if you could side-step the front desk and go directly to your room or sit down with a drink and some food while someone checked you in on a tablet? An article by Joe Brancatelli, a columnist for The Business Journals, describes various forms of check-in that are eliminating the need for the traditional front desk. Whether you are using a mobile app or mobile website, we found a few articles to help you maximize your guests’ mobile experience. In two recent white papers, one by Mutual Mobile and the other by Oracle, they recommend just 5-6 steps for building your mobile strategy infrastructure. The ALIS Conference is the largest hotel investment conference in the world with over 2,500 top industry leaders who discuss trends and identify opportunities for the year ahead. In Los Angeles at the opening of the Americas Lodging Investment Summit, data collectors remarked on evidence showing continued growth of demand and limited supply, which they expect will bring the industry back to high performance levels experienced in 2007. Will Digital Check-ins Ever Replace the Front Desk? When we get more services that allow us to control our experience, we are often happier guests. So, what’s holding our industry back from going completely digital for check-ins and other services? What Does Mobile Mean to Your Business? We all know mobile use is reaching new heights all the time, but how does this affect your business? One of the core things to know is how you will accommodate mobile consumers; we’ve summed it up below. What is "The Cloud" and Why Does It Matter to Your Hotel? Whether you know it or not, you are most likely using the cloud on a daily basis. “The Cloud” refers to Internet services that allow you to store data, like emails, music, and documents in places outside your physical vicinity. Previous to cloud computing, we saved data to floppy discs, hard drives, and CDs. Now we store much of our data virtually in servers outside of our homes and offices. That storage is considered in the cloud. It can refer to various providers from Google’s Gmail or Drive, Pandora, Instagram, and Amazon, as examples. 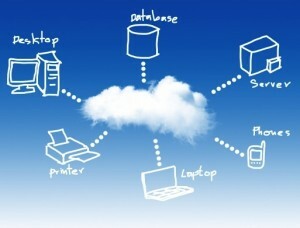 When people refer to the cloud, they are referring to all of those. Big Data: How Is It Relevant to You? In hospitality technology there has been a lot of talk about “big data.” What does it mean and why is it important? 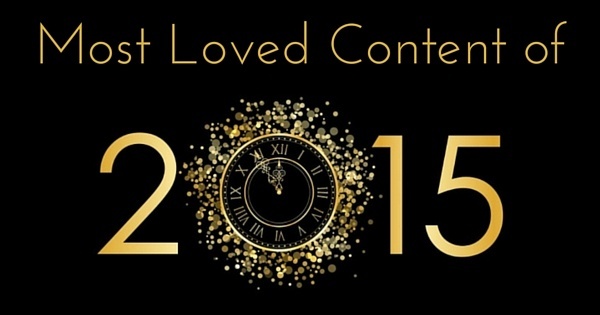 This infographic, published by Tnooz, does a great job explaining. Basically “big data” encompasses any data produced from all kinds of activities. This includes data from smartphones, social media, even sensors in casino chips. Although it may seem trivial, the possibilities to analyze data from your property alone could mean better service and ultimately, revenue generation. Imagine knowing guests’ preferences as soon as they walk in the door—from what they like for breakfast to shopping habits. Analyzing data to offer more products and services that add value to your guests’ stay and allow you to increase guest satisfaction and revenue. 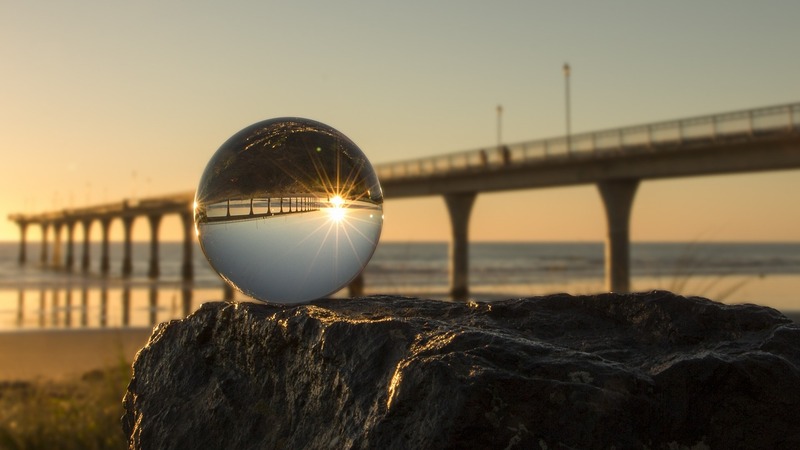 In a August 2011 article, Ten Reasons Why Big Data Will Change the Travel Industry, Timothy O’Neil-Dunne was already thinking about the possibilities. He predicts that big data will play an important role in bringing big media and big telecom back to travel. A great example is Google’s recent investment in online travel, which allow them to use data in the underdeveloped hospitality industry. According to a recent Tnooz article, venture capitalist agencies invested $10 million in Duetto Research, a company who specializes in hospitality revenue management and technology. They will join the race to efficiently capture, process, and manage big data first. Google and certain social media companies (think Facebook and Twitter) currently have a good foothold on data curating; it will be interesting to watch the big data pursuit unfold. 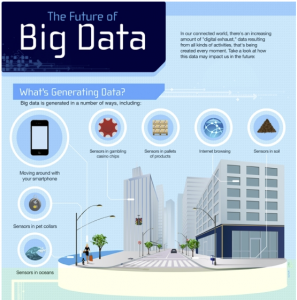 What do you envision for the future of big data in hospitality? Have you started collecting any big data of your own? In Adapting to Evolving Mobile Trends is Crucial by HotelNewsNow, experts weigh in on how the rise in mobile device use is affecting the way hoteliers should invest in technology. Is There Such a Thing as Too Much Bandwidth? To follow our Perfect Bandwidth Storm series, here’s an interesting article that asked industry experts to evaluate an assumption about the future of HSIA in the hospitality industry and what it would mean for bandwidth demand. In the article, the author, Dan Phillips, admits to making incorrect assumptions and speaks to several other industry experts to get opinions on where our industry is going in terms of HSIA. The overall consensus supports much of what we covered in the Perfect Bandwidth Storm series. 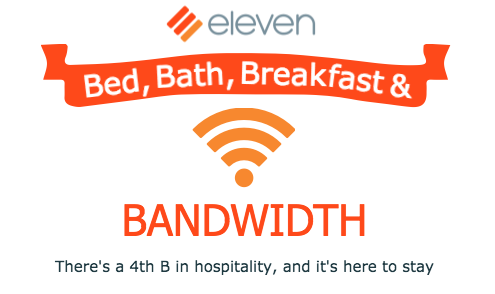 In Part I & Part II of The Perfect Bandwidth Storm series we explored the ways guests are consuming technology and how hoteliers are serving it up. The rise in mobile devices alone has created bandwidth shortages; couple that with cloud computing and you’ve got “the perfect storm” for bandwidth consumption. And it doesn’t stop there. In The Perfect Bandwidth Storm I: Guests Expect More, we covered guest behavior changes that increase the need for more bandwidth. Now in Part II, we’ll dive into hospitality management-specific technology. We work dramatically different than we did just a few years ago. 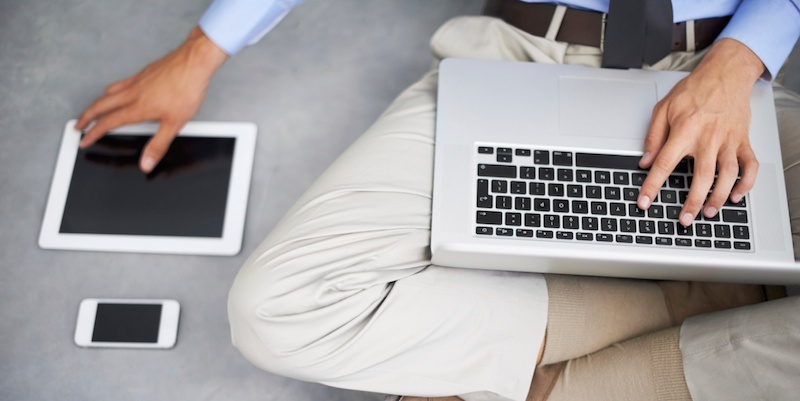 Instead of desks, we are tethered to smartphones, tablets, and laptops. 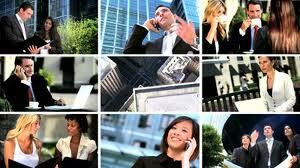 We communicate more and more via videoconferences, webinars and VoIP phone calls. This shift means the average business traveler has vastly different needs than he did a few years ago and he expects your hotel to meet them. Smart hoteliers are working to keep up with this change by providing open areas for networking, smaller private meetings spaces, and more. The true challenge will be to provide an environment where service and experience capture visitors and turn them into loyal guests. Providing the right environment for technology will play a large part in a hotel’s success and that means making some changes. Properly located plugins and sleek, comfortable furniture will help but arguably the biggest and most expensive change will be providing adequate bandwidth levels. Without increased bandwidth to support this shift in guest behavior, the guest experience will suffer. Stay tuned for parts 2 and 3 of this 3-part series where we explore two other factors creating The Perfect Bandwidth Storm: hospitality technology and guest computing. Do you have technology updates budgeted for 2013 that will enhance the guest experience at your hotel? The saying used to be “Location, location, location,” but this mantra is quickly changing. As hospitality becomes more innovative with technological advances, there is an increasing need for bandwidth to handle all of these modern amenities. 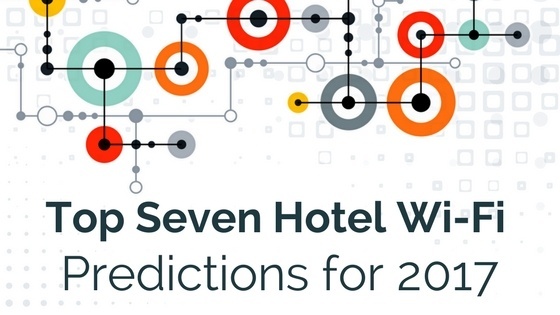 The last few weeks we have been heavily focused on the future of hotel technology. 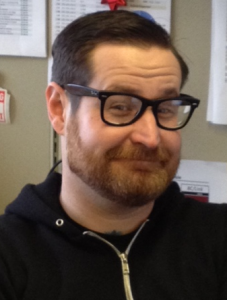 Apparently, we are not the only ones noticing some of these major trends. Recently, the Huffington Post featured 12 hotels around the world that have pushed the boundaries of innovation in terms of their guest technologies. From the Yotel in NYC where you will find "Yobot," a 15-foot automated luggage handler that selects and moves luggage from a very large luggage rack in order to organize all of the pieces received each day during check-in to the Setai, also in New York, where each guest room bathroom has a flats screen TV embedded into the mirror, these hotels are bound to impress you. Check out the slideshow here. After only 6 months on the job as president and CEO of Loews Hotels & Resorts, Paul Whetsell is making good on his promise to grow the brand. 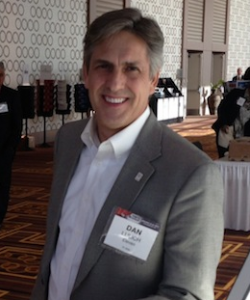 HotelNewsNow.com caught up with him during a break at the 34th annual NYU International Hospitality Industry Investment Conference earlier this month, and Whetsell shared that he plans to double the size of the brand by the end of 2015. According to Whetsell “I came in with a couple of objectives; one was to broaden the customer base of Lowes. You do that in two ways – you do it organically by enhancing your own sales-and-marketing programs, and then you add distribution.” To kick off this expansion, the company recently acquired the 632-room Renaissance Hollywood Hotel & Spa in Hollywood, California. They plan to begin a $26-million renovation later this year that will include many innovative changes on the technology side. To read more of Whetsell’s plans to grow the Lowes brand, click here. 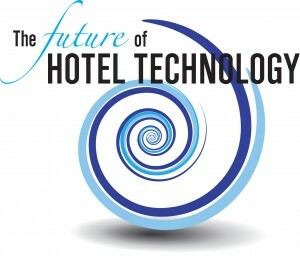 As we gear up for the Hospitality Industry Technology Exposition and Conference (HITEC) next week in Baltimore, MD, there has been a lot of discussion about the future of technology in the hospitality industry. In a recent interview with The Wall Street Journal, Kathleen Taylor, the CEO of Four Seasons Hotels stated “Technology is one of the leading edge issues for consumers in all segments. It’s less an amenity and more like hot water, in the sense that everyone is expected to have it.” Ms. Taylor also spoke to what they have done to address the hot issue of charging for Wi-Fi in their properties. Many travelers these days are frustrated with properties that charge for Wi-Fi access, and strongly believe it should be complimentary. In order to overcome this problem, many Four Seasons properties have gone to the tiered model where there is either no charge or a lower charge for basic access so guests can check email or surf the web, and then a higher charge for guests that want to stream, download, or watch TV on their device. Ms. Taylor acknowledged that not every guests needs a lot of bandwidth so this allows them to better tailor to their customers needs and charge accordingly. To read the full interview with Kathleen Taylor, click here. It is no question that technology has become an integral part of our day-to-day lives. From iPods and tablets to smart phones and laptops, these days’ travelers are arriving at hotels with a multitude of mobile devices. Unfortunately, many hotels have not been able to embrace technology in quite the same way, failing to provide guests a way to plug in and integrate with the hotel. Some hotels have a stronger vision of the future and have begun to heavily invest in upgrading their technology to keep pace with their digital savvy guests. One of the major drivers behind this shifting attitude is that hotels are realizing the opportunity to stand out in the market by offering new and appealing technologies to their guests. Furthermore, it provides a great opportunity to generate additional revenue. To read more about these trends as well as some great examples of new hotel technologies, click here. Coming out of the most recent recession, hoteliers have been brainstorming ways to differentiate themselves and generate more revenue. Many hotels have turned to technology to accomplish this goal. Hilton Worldwide is a perfect example of this growing trend. Hilton Hotels & Resorts, the flagship brand of Hilton Worldwide, recently launched the Hilton Design Studio (HDS), a new online tool that transforms the way in which owners, developers, and design firms implement the brand’s forward-thinking strategy. 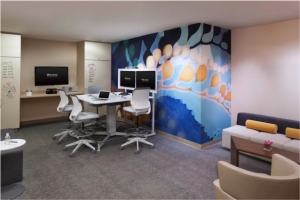 Hilton innovated even further with the recently unveiled Hilton Connectivity Station, a new solution for owners of properties with smaller lobby space that brings the traditional business center away from the back of the hotel and into the lobby. This solution offers both business and leisure guests the ability to access the Internet in a variety of different ways to check email, surf the web, or simply print their boarding pass. According to Hospitality Technology “The Hilton Connectivity Station features a user friendly and inviting station within the lobby environment that is complete with furniture in four and six-seat configurations and computer hardware.” This ready to use owner solution gives the hotelier the opportunity to enhance the guest experience and increase revenue all at the same time. For more on Hilton’s innovative new concepts, read the full article here. 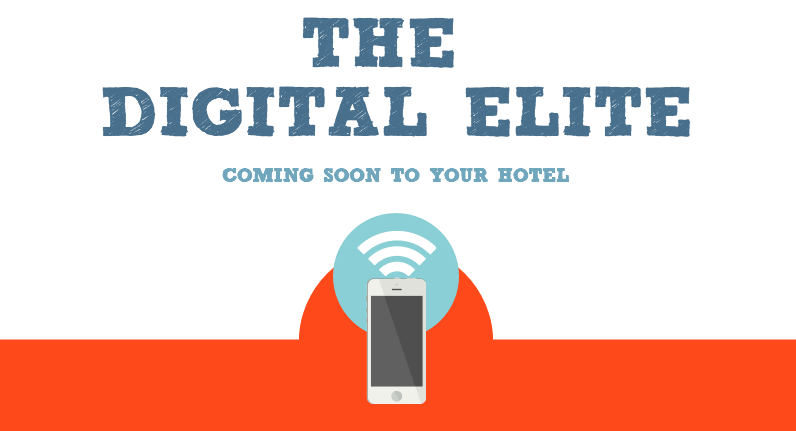 Whether it’s an in room iPad where guests can order room service or schedule a massage, or the ability for guests to use their smartphones as a room key, one thing is certain – many hotels have invested heavily in technology to appeal to the growing tech-savvy clientele. Over the years, not all hotels have kept pace with new technologies. However as technology continues to become more and more intertwined into guests’ daily lives, those that do not invest in keeping up with new trends are going to be at a serious disadvantage. “Technology is increasingly becoming a brand differentiator for hotels and chains which want to identify with a certain market,” says Katherine Doggrell, editor of Hotel Analyst Distribution & Technology. To read more about the innovative technology improvements hotels are making, check out Tim Hume’s article “High-tech Hotels a Hit with Geeky Guests” here. Why are we still paying for hotel Wi-Fi? It’s no surprise that hotel guests these days expect Wi-Fi where they stay. 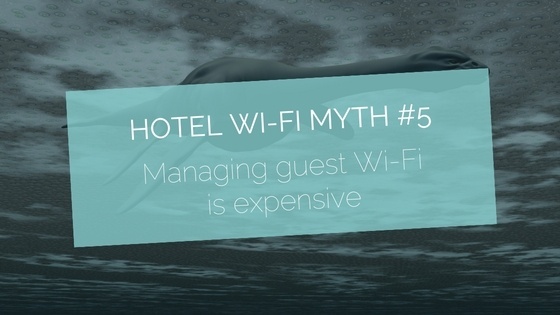 Moreover, most guests believe Wi-Fi should be free and are frustrated when they find out they have to pay. Another common gripe of hotel guests is the inconsistency between hotels; for example the five star Hilton Mayfair in London charges $32 per day whereas the Four Seasons offers complementary Wi-Fi for basic use like e-mailing and surfing the web. Guests believe Wi-Fi should be free, especially in these luxury hotels. However, what they don’t understand is that when a hotel charges for Wi-Fi, they are guaranteeing reliability, high speed, and the highest level of security. Furthermore, guests these days are arriving at hotels with smartphones, tablets, and laptops in hand – all devices that require a lot of bandwidth. Hotels must constantly re-invest and adopt newer technologies to handle this increasing demand for bandwidth. This can be an expensive investment, and in order to keep up, they must find ways to cover these costs. To read more on this topic take a look at Ayesha Durgahee’s article “Why Are We Still Paying for Hotel Wi-Fi” here. Bandwidth. 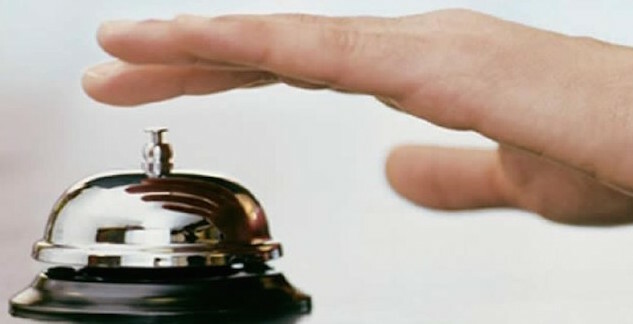 In the hospitality IT industry, this buzzword is one that continues to pop up over and over these days because it is so essential to guest satisfaction. With the introduction of smart phones and tablets, consumers have begun to arrive at hotels with multiple wireless devices in hand, thus placing considerable stress on hotel wireless networks. Hotels are now faced with new challenges; do they purchase additional Internet bandwidth, which can be very expensive? Or do they renovate the property’s wireless infrastructure, also something that is very costly? One solution many hotels are turning to is the tiered bandwidth model that we have discussed before, where a guest who wants to surf the web and check email can use the internet for free, but if a guest wants to stream movies online or download large data files, they have to pay. To read more, check out Andrew Scheivachman’s article “Wireless Demand Hard on Broadband Networks” here. The hospitality industry has come a long way in the last eight years, especially in terms of Internet technology. 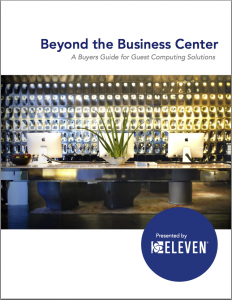 Looking back at HotelChatter’s first annual Hotel Wi-Fi report from 2004 when Eleven was one of a handful of Wi-Fi providers, the only concern was which hotels offered Wi-Fi in guest rooms or lobbies, and of the few that did, which hotels provided it for free. As they pull out of the recent recession, many hoteliers are focusing even more on their younger travelers, the Millennial Generation. Comprised mostly of people in their 20’s to mid-30’s, Millennials are obsessed with technology, often walking into a hotel texting on their Smartphone while listening to their iPod, with their laptop and iPad tucked neatly in their bags. All of these devices are ones that require the Internet. “High speed Internet is almost like air to Millennials,” stated Bjorn Hanson, a divisional dean of Preston Robert Tisch Center for Hospitality, Tourism and Sports Management at New York University. To respond to this, many hotels are remodeling to offer more welcoming “technology lounge” inspired lobbies, with Wi-Fi, comfortable furniture, Art Deco furnishings, and stylish bars connected to the lobby where guests can sip a martini as they surf the web. 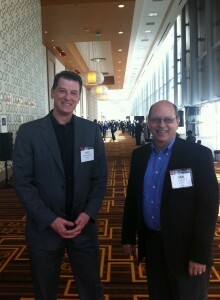 The Americas Lodging Investment Summit (ALIS) was held last month at the LA Live convention complex in Los Angeles. During this conference, USA Today gathered five of the industry’s top executives to discuss recent industry trends and developments. Recognizing the challenge of tech-savvy guests with much different expectations than guests of prior generations, these CEO’s discussed a variety of different topics from innovative new technologies to improving the guest experience and addressing hot issues such as hotel Internet fees. We live in a wired world, and more recently a wireless one. So, it was no surprise that TripAdvisor’s recent study found that an excellent Wi-Fi system is imperative to attracting guests to your hotel. However, what was surprising was the fact that of the users and hotel representatives TripAdvisor polled, they found that 54% of travelers have actually canceled a prior reservation after finding better amenities at another hotel. When you consider the fact that travelers agree that Wi-Fi is the most important amenity a hotel can offer, it becomes clear that providing best in class Wi-Fi is a great way to set yourself apart from other hotels. For more about this study, click here. Hotels.com recently released a survey and free Wi-Fi topped the list of must-have amenities when selecting their hotel. Not surprising as survey after survey reveals that Wi-Fi has become an essential component of a good hotel stay. 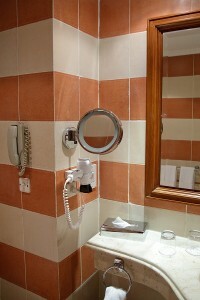 On the flip side, and equally unsurprising, bathroom phones are the least used hotel amenity…no explanation is needed! 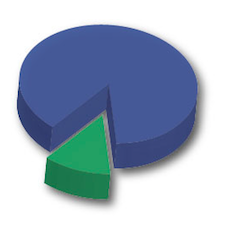 Click here to read about the survey results in detail. There can be a broad disconnect between desired WiFi at hotels and what is currently provided. Mobile devices are touting higher megapixel cameras with high definition video. In short, that means data is getting exponentially larger. Most consumers and hotel guests don’t understand how this impacts WiFi systems which can negatively determine service reviews. We foresee broadband consumption among guests growing very rapidly in 2012 and below Lisa Terry of Hospitality Technology outlines some actionable solutions for hotels to prepare. Even Eleven contributes to the article! 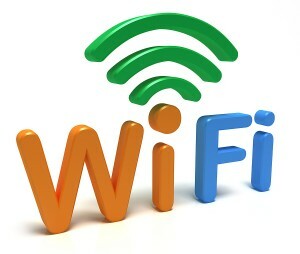 Wireless Internet access is one of the top 5 “must have” amenities hotel guests are demanding according to the J.D. Power and Associates 2010 North American Hotel Guest Satisfaction Index Study. Susan Stellin of the New York Times recently published an article, “Make hotel guests happy with tech amenities” in which she also identified Internet access as one of the top factors in a positive guest experience. However many guests just hate paying for wi-fi; they are used to getting it free at coffee shops and most select service hotels. According to A. Pawlowskim of CNN, in an article titled “Internet fee irritates hotel guests” some of today’s largest high-class hotel brands are charging their guests for Internet, while budget brands even owned by the same company, are giving it away for free. This not only frustrates guests, but also baffles them. Unfortunately, guests also hate unreliable or slow Internet. This leaves hotels with a tough conundrum.